Some businesses have deadlines that have to be adhered to in order for them to trade competitively. Some industries like retail naturally lend themselves to situations where overtime is essential. If your boss pressurises you to stay once your shift’s ended, is that legally okay? Can a company make you work overtime if you really don’t want to? Working longer than your hours doesn’t automatically lead to overtime payments as firms are not obliged to pay you more than your salary. The only protection the law gives here is that a worker’s average payment per hour can’t fall below the National Minimum Wage. If you’re already on the minimum wage, you will definitely do so if you work longer than your contracted time. You have to work overtime if your contract allows for it. Even if your contract says so, you normally can’t be forced to work more than a 48 hour average week. Employees can agree to work longer than the 48 hour working week but a signed agreement has to be in place. Can workers be stopped from working overtime? 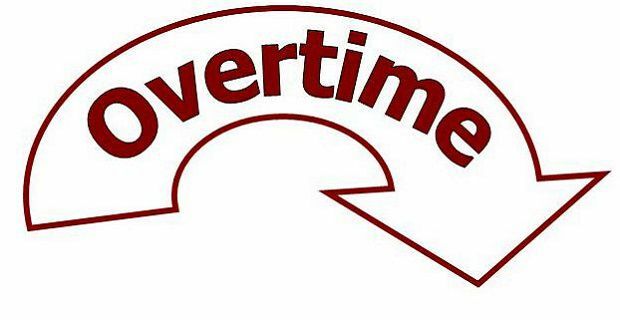 If your contract does not allow for overtime, your employer can stop you from working it. The only provision in the law here is that the employer can’t discriminate by allowing some workers on the same contract to work extended hours while stopping others. How does all this affect part-time workers? In the main part-time workers cannot be treated differently from those who work fulltime. The only provision here is that if the part-time worker’s contract differs from the full-timers so you’ll need to be fully aware of what you’ve signed if you feel that you’re getting a raw deal on overtime. Most firms only pay part timers the more favourable hourly rate that fulltime workers get for overtime once the part timer’s exceeded the normally contract hours that fulltime workers complete. Stuff like unsociable hours when more pay is given isn’t part of this so working on a bank holiday or throughout the night will be worth more if the firm pays fulltime workers a premium for those hours.